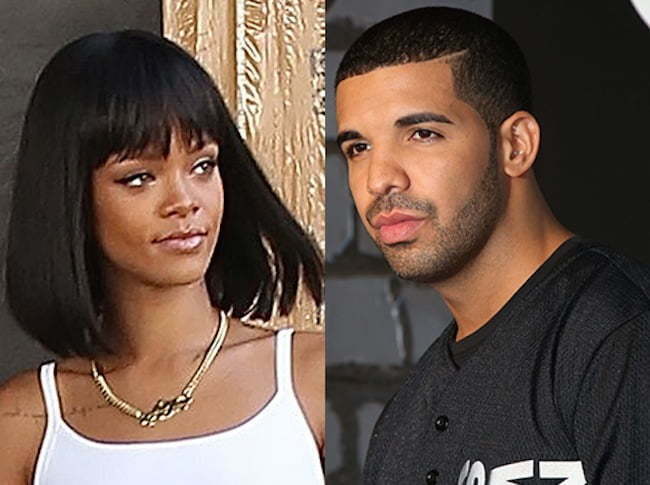 Drake is still in love with Rihanna and on Valentine’s Day he reminded her how much he still cares for her. The “Take Care” rapper not only text Rihanna happy Valentine’s Day last Saturday, but he also sent her flowers. “Drake is one of those overly romantic type of guys, but this time RiRi didn’t expect flowers and happy Valentine’s to come from him,” the source told us. “It did left an impression on her just to know that he still cares for her even though they are not together. But Drake is that type of guy. He holds no grudges and he clearly still loves her,” the source added. Rihanna is rumored to be dating actor Leonardo DiCarprio but so far there are no confirmations that they are an item. The Bajan pop star is currently working on her eight studio album R8. But there are no official title or release date. Drake drop his new mixtape If You’re Reading This It’s Too Late last week Friday without any notice. The “Thank Me Later” rapper is also rumored to be working on his new album. No details are available for that project. Rihanna and Drake spotted leaving nightclub in NYC. Over the weekend Rihanna and Drake were also spotted partying at Up And Down nightclub in New York City. She was also spotted partying with Leonardo DiCaprio the following night at another NYC club. Check these photos of Rihanna and Drake together. Her virtue has flown out of the window…since she started dating…leo……..she’s not worthy of a true gentleman.